Virtual employees are people who are hired to work for your company remotely. Technology has evolved over the years, so much so that it is now possible to have people from halfway across the globe working for your business. Virtual employees have many benefits and even some disadvantages. Regardless, if you decide that remote work is the right choice for your business, then you will need to ensure that you are prepared to take on the task of virtual management. Whether you are still in the process of hiring or you already have remote workers, you should take a look at our top tips for managing a virtual employee once you have development strategies for secure business information. Video conferencing is an essential part of virtual employee management. Email can only convey so much when you are discussing a delicate matter with your employees. If you cannot meet with them in person, the next best thing is to hold a video chat or conference. Teleconferencing can be effective as well, but the visual cues you receive from a video chat can be immensely beneficial to the conversation. If you are hiring a virtual employee, make sure that you have a reliable video conferencing option available. When it comes to managing virtual employees, there is one rule of thumb to keep in mind. The more distance that is between your home base office and a virtual employee, the more meetings and communication you should have with them. Make sure to reach out to all of your remote workers routinely. However, be sure to pay extra attention to the ones furthest away. The further away they are, the easier it is for you to forget about them and their needs. Make sure you do not fall victim to this bad habit. Screen sharing is a great way to monitor employee activity and work collaboratively even when you are apart. Thankfully, screen sharing is possible with or without webinar software. With screen sharing, you can view and interact with everything that is on your employee’s work screen and vice versa. This way, you can better understand their process and how they are doing with a particular project. When hiring a virtual employee, it is important to set ground rules and outline your expectations. As with any other new hire, training, schedule and salary should all be discussed and agreed upon before the work starts. Setting these expectations will also help make his or her employee performance evaluation much easier. It can be easy to forget that you are dealing with a human being when everything is done through email or online. However, you must remember that they are still employees and their on-boarding process should be as traditional as possible. Having a reporting system in place is important as a virtual manager. Because you will not be there to interact with your employee face-to-face, you will need another project management tool to help you monitor activity and time. There are many time management software options that will meet your needs. Using a central system where you can view their progress, what tasks they are completing and how long they are taking can be a great way to more effectively manage a virtual employee from a distance. This will help to hold them accountable for the work they have been assigned. Finally, another important tip for virtual managers is to create a bond with your employees. 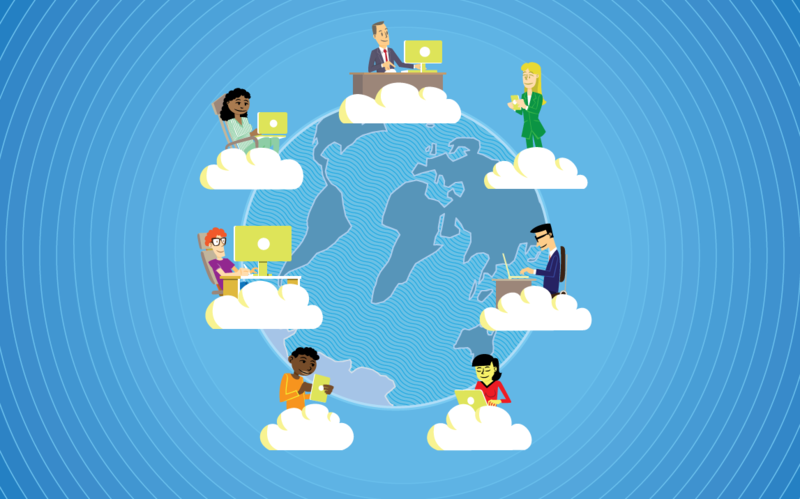 Whether you have a mix of in-office and remote workers or you have a team comprised entirely of virtual employees, it is important to bring everyone together. This can help to promote a more engaging company culture for all employees, which will help with your employer branding. A company retreat can be a great way to bring your virtual and in-office employees together. A virtual employee can be an excellent option for your business. However, it is important to remember that you must adjust your management style to fit the remote workplace. Unfortunately, there are no management certifications available tailored for management of virtual employees. But as long as you follow the tips above, you should have an positive virtual employee experience.